Get a free access Museums in Milan ! Discover how > Limited access per day, don’t lose time! Are you looking for Milan Museums ? Welcome ! Find here the entire list of the main museums of Milan with details, photos and video and discover how much you can save – money and time – with MilanoCard the tourist pass of Milan. Milan is a city where you will find many remarkable works of art, so there are many things to do in Milan for art lovers. If you just have a few days in Milan, your main problem may be how to fit them all in! Many visitors come back many times, discovering new treasures on each occasion. When we visit a city for the first time we want know its most important tourist attractions we can not miss and if we can get easily have all the info about the city and even having discounts on places to go, then even better! That’s what MilanoCard can offer you. 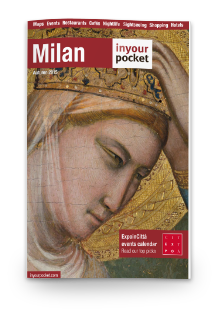 Download also the Free Invite that allows to visit for free the main Milan museums and the top attractions of Milan. Milan is a casket with an amazing heritage of cultural offer; thanks to the Milan City Pass you will be able to discover this heritage saving money and time, listen the tutorial video in this page and discover how it’s easy.